Discrete Singularity Module | 3DynaFS-DSM | Dynaflow, Inc. The 3DynaFS&COPY; Discrete Singularities Module was developed to simulate complex flows involving particles and/or bubbles, vortices, or other singularities. It uses a Lagrangian scheme to track singular elements such as bubbles, sources, sinks, vortex elements, and dipoles. The Vortex Element and PhantomCloud®© can be coupled with 3DynaFS-BEM&COPY;.DF_MultiSap© can be used as a standalone program or can be coupled with other modules to extend their applications. DF_MultiSap© is also available as User Defined Function (UDF) for ANSYS Fluent as Discrete Bubble Model (DBM). Ship waves simulated with Level Set method. 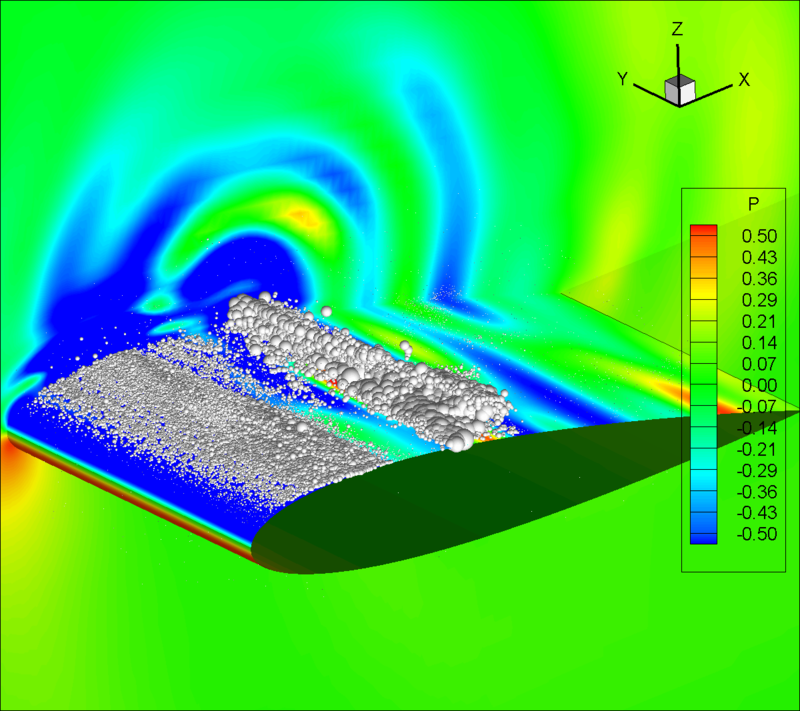 Simultation of sheet cavitaton and bubble clouds on a hydrofoil. 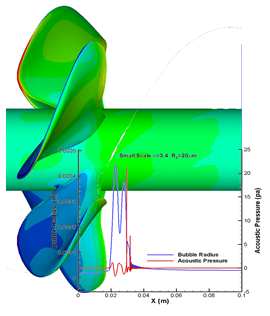 Bubble entrainment in a liquid plunging jet.